The broad girth at the center of the bangle usually tapers into the slender edges at the same time as the whole circumference of the bangle has been superbly embellished with inexperienced and white polki stones. This designer bangle looks like it has been crafted specially for women with a royal appeal and attitude. 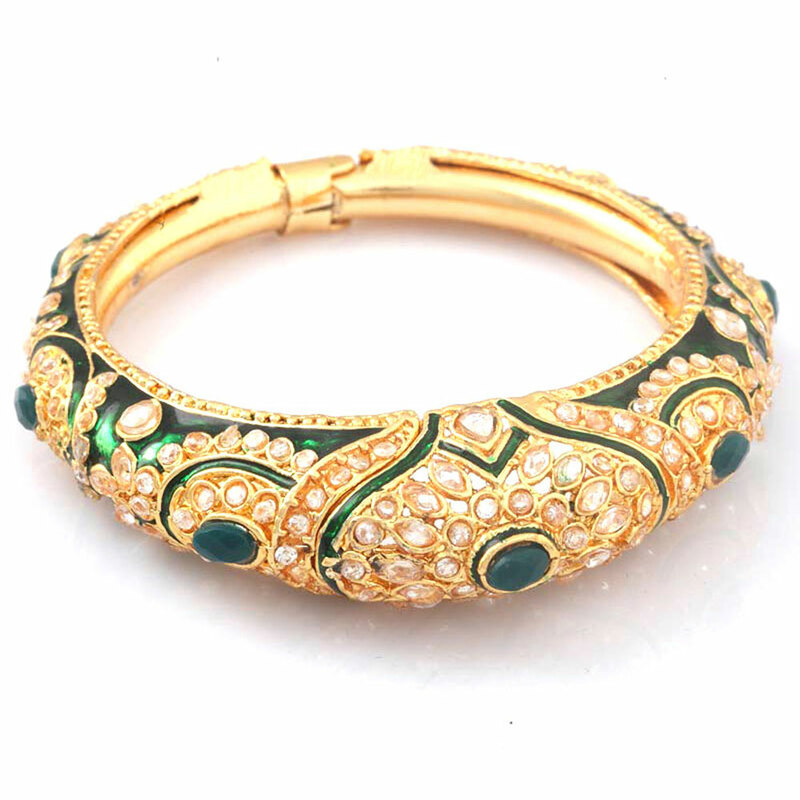 The broad girth at the middle of Read More..the bangle generally tapers into the narrow edges even as the entire circumference of the bangle has been beautifully decorated with green and white polki stones. Show Less..